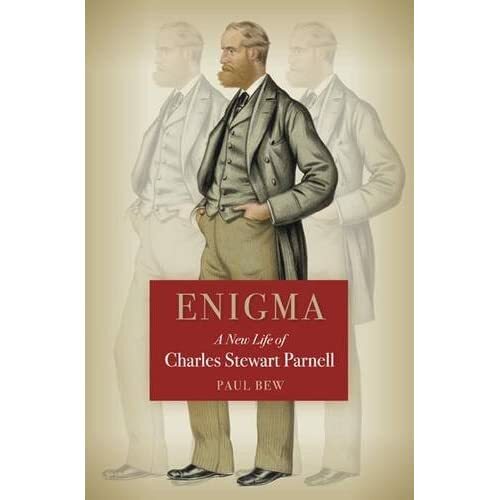 Paul Bew has written a very enjoyable biography of C.S. Parnell. I had not read any books about Parnell before, but of course knew a lot about him from learning about Irish history. This is an easy to read book and provides a lot of insight into his short life (he died aged just 45 in 1891). His most effective period was from 1882-1890 - a testament to his lasting legacy and contribution to Irish history that he achieved so much in so short a time. Parnell was a man of mixed abilities and character - take this extract from page 115 "his personal traits and idiosyncrasies became more noticeable: the legendary frigidity of demeanour, the impenetrable reserve, the lofty detachment, the strange sphinx-like silences, the inexplicable absences, the hint of steel - all these being to some extent offset by an engaging charm enlivened with occasional flashes of warmth and even whimsy, and his behaviour as a whole being marked by a general air of eccentricity". The affair with Kitty O'Shea is not sensationalized. Such an affair would not cause the split and his downfall these days, but it was unfortunate that he is remembered as much for this affair as he is for his politics. At the end of the book there is a reprint of the essay "A Counterfactual Chief? If Parnell had lived till 1918", written in 2010 by Patrick Maume. To me this adds nothing to reading about the life of Parnell. Speculating what would have happened if he had lived longer is just that - speculation. Even Bew himself states in a note at the end "Perhaps all this speculation is beside the point". He is right. Apart from the reprinted essay at the end, this is a very good book on an icon of Irish history and is certainly recommended by me.